Infinix Mobile, the premium smartphone brand from TRANSSION Holdings, today announced the exclusive availability of its recently launched flagship “Dual camera” smartphone - Zero5, on Flipkart. In addition to attractive offers on the Zero5, Infinix Mobile has also introduced its brand new “Quiet” series of noise cancellation headphones exclusively on Flipkart at an introductory offer price. The Zero5 is available on Flipkart at an introductory price of Rs 17,999 starting November 22. The offer period begins from 12 noon on November 22 and continues till 24. As part of the introductory offer, on purchase of every Zero5 using HDFC Bank Credit and Debit cards, customers can avail a ten percent instant discount. In addition, customers can also exchange their old mobile for the all new Zero5 and avail an additional discount of Rs 1000 over the regular exchange value of their old phone. To help its customers make the most of their smartphone experience, Infinix Mobile and Flipkart are also offering a whopping extra 100GB data on recharge of Rs 309 or above, valid for 10 recharges. The offer further entails a complimentary Jio Prime membership worth Rs 99. As for the newly introduced exciting range of active noise cancellation headphones from Infinix Mobile, the Quiet 2 will be available at an introductory offer price of Rs 1,499 and the Quiet X will be available at an introductory offer price of Rs 4,999. This introductory offer is valid only for 3 days from November 22 to 24. Ayyappan Rajagopal, Senior Director - Smartphones at Flipkart, said, “We are glad to partner with Infinix for their upcoming launch of Zero5 series. Infinix began its journey in India through Flipkart hinting at the fact that Flipkart is the preferred online retailer and the undisputed leader in the online smartphones market. We are confident that through Flipkart's wide reach & seamless affordability levers, coupled with the Infinix’s superior technology and design, the new Zero 5 series launched will disrupt the market and excite customers, reinforcing the strong belief they have in Flipkart." 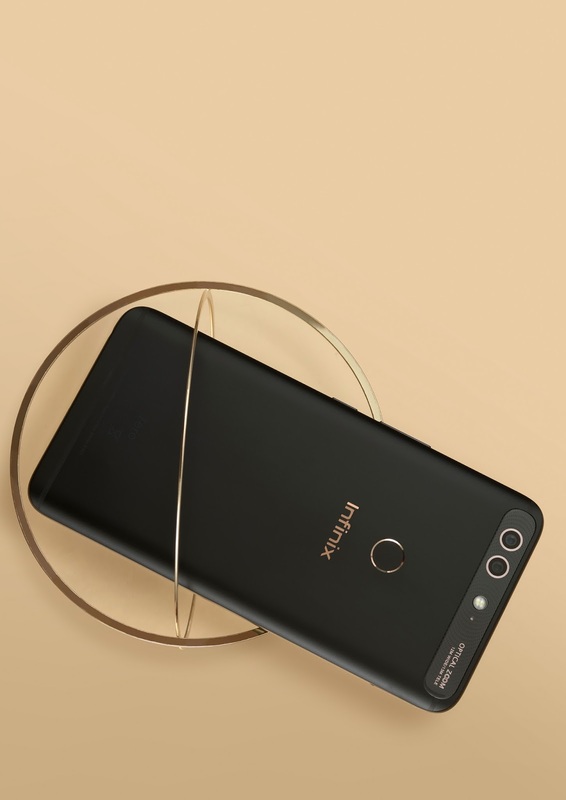 Infinix Zero5 is a brand new smartphone that aims to bridge the gap between professional and amateur photography and carve a niche for itself. Packed with a premium dual camera setup, which uses a 12MP wide-angle lens and 13MP telephoto lens, the smartphone helps deliver a remarkable DSLR like experience. It also stands out with its 2x optical zoom, paired with up to 10x digital zoom that bring the object closer and enables clearer photography. Furthermore, the Zero5 is equipped with 16MP selfie camera with 4in1 pixel selfie camera technology, f/2.0 aperture and front flash for stunning selfies. Further adding to the phone’s finesse is its 15.18cms (5.98) FHD LTPS JDI display with Corning Gorilla Glass 3 protection. It runs on the latest XOS 3.0 Android Nougat powered by 2.6GHz Octa-Core Helio P25 processor with 6GB DDR4X RAM for bolstering speed and efficiency. It supports 4350mAh battery with 18W xCharge, a fast charger solution. To up its users’ style quotient, the phone comes in varied color options including Sandstone Black, Champagne Gold and Bordeaux Red for the Zero 5 (6GB+ 64GB) and Bronze Gold Black for the Zero 5 pro (6GB + 128GB). Infinix’s new range of noise free wired & wireless headphones, available in two variants; Quiet 2 (MRP Rs 2,499) and Quiet X MRP Rs 8999) are also expected to be a game-changer in the audio world. Equipped with Active Noise Cancellation, a technology presently available only in super premium segments, these headphones offer premium value within affordable pricing. The noise cancellation technology is a great enabler, allowing users disconnect from a noisy environment with just a simple push / toggle button, at the same time enhancing their audio experience.